VS Code 2015 is a simple, no-nonsense editor. 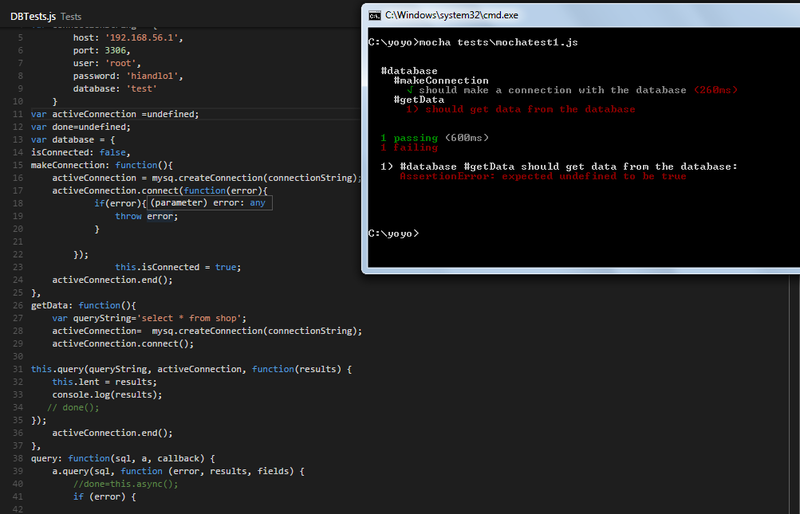 This means that there will be lots of post-coding tasks that need to be performed using some other tools. 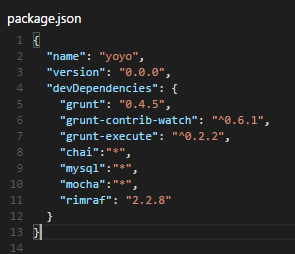 For instance, automating builds, tests, deployment and execution apart from numerous other tasks like clean, copy, coverage, log, database read/write etc. 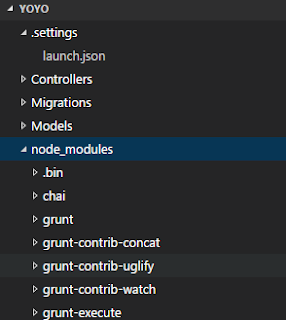 Although the task of maintaining all these software development and team activities may look daunting outside of the magical environment of a full fledged IDE like Visual Studio usually is, it is rather simple because of the packages that integrate with Node.js framework. 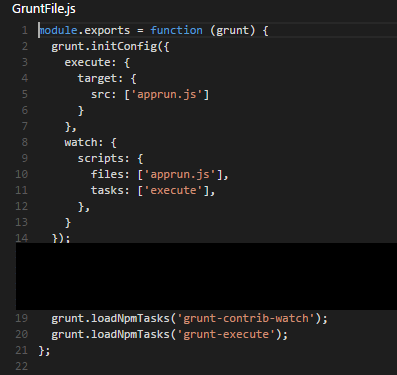 grunt is one such package that is similar to NAnt and Ant but has one additional advantage - it can perform, continue and wait on tasks asynchronously! To use mocha, use the same install method with npm. 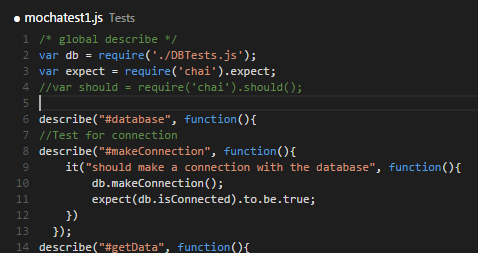 And 'chai' adds flavor to the unit tests with the expectations and even 'promise'-s of a BDD. 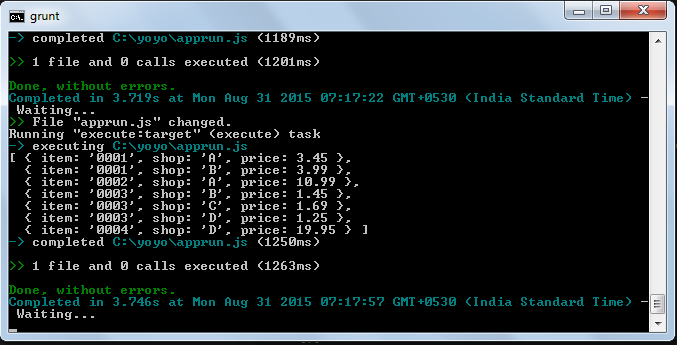 Chai, too, can be installed using the npm tool. 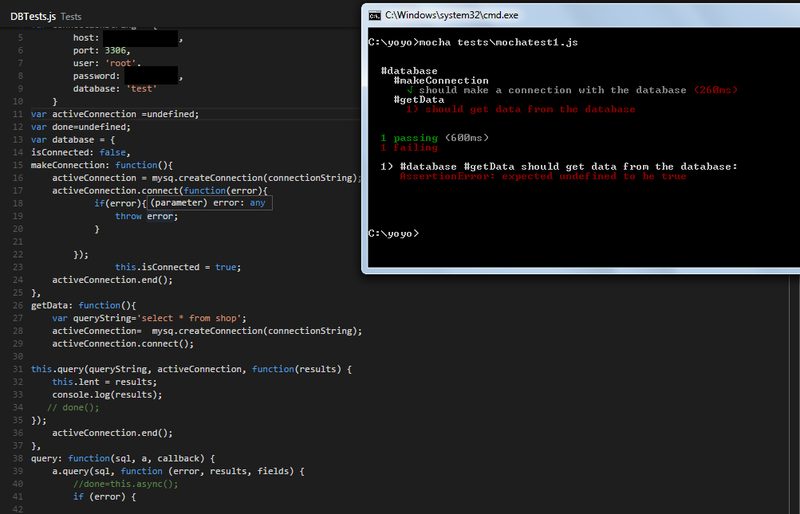 The story - watch changes to a file. There are the usual caveats that you may need to reckon with like where to install the packages. 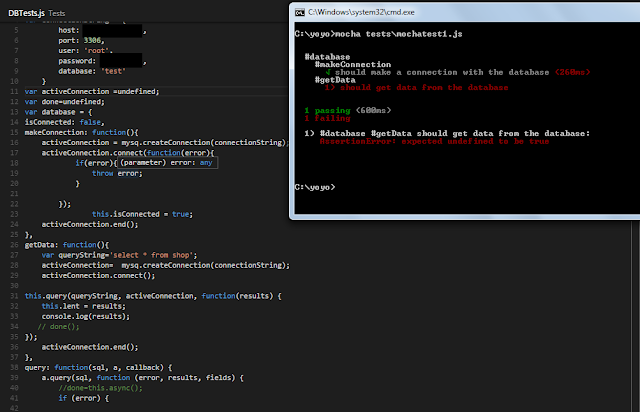 The unit test using chai and mocha are as simple. 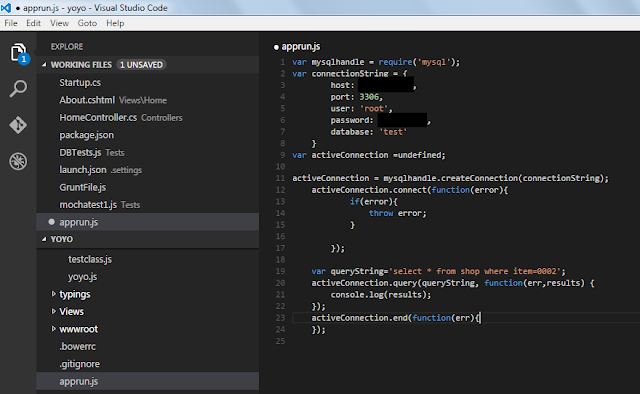 Uncomment the 'done' lines for async callback to work seamlessly without any timeout issues related to the network or when connecting or retrieving data. 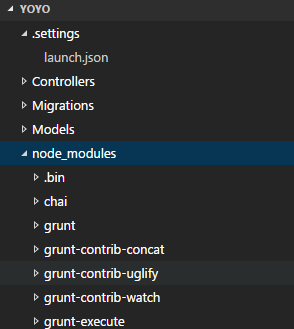 Needless to say, the unit tests wired into grunt tasks and coverage ruling the outcome of the tests and the build is ideal and this, too, is simplified now with grunt, node, mocha and blanket. Absolutely delightful tools for Agile!